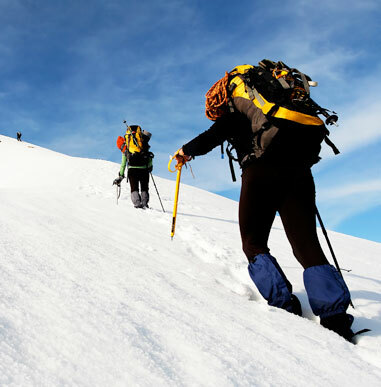 A favorite among both guides and students, the 8-Day Alaska Intermediate Mountaineering course is an incredible opportunity to learn advanced mountaineering skills in one of the great ranges of the world, the Alaska Range. The focus of this course is navigating big glaciers and ascending steep snow climbs in an expedition environment. The goal of this course is that graduating students should be able to climb non-technical glaciated mountains safely. It also provides an excellent advanced preparation for guided ascents of the Kautz Glacier on Mount Rainier, Denali, Mount Vinson, Cho Oyu. Our Alaska programs are unique in that we fly directly onto the Kahiltna Glacier and minimizes the approach into the mountains allowing the group to focus on skill development and ascending several different peaks in the area. Alpine Ascents believes the best training for mountaineering is accomplished with as much time in the field as possible, and all eight days are spent in the mountains. 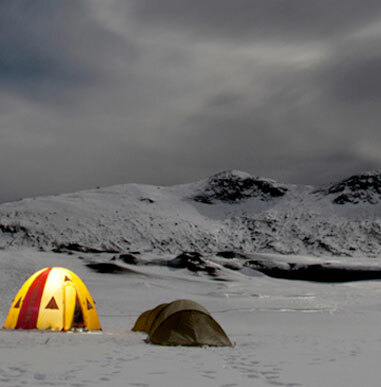 These courses take place in Denali National Park and throughout the Alaska Range. We use a variety of locations to distribute land use and provide pristine, less populated environs for our training. That also enables us to take advantage of the best possible mountain conditions for each course.